We are a trusted concrete specialist that has provided quality work since 2002. We believe in making sure our work is done right and that we have constant communication with our customer's. Quotes are set prices that we live up to! Any on site changes will be discussed prior to making the change. Please give us a call, we can look at your project and provide a FREE estimate! We work with a variety of finishes including smooth, broomed, stamped and exposed. Our Service and Warranty department provides a variety of services and repairs on all residential concrete projects. Whether it’s repairing a chip in the driveway, or replacing the old patio, we do it all! CF Construction provides complimentary inspections to our clients. Our inspector is able to assess the issue and provide repair options available to you. Call us or submit the request online. 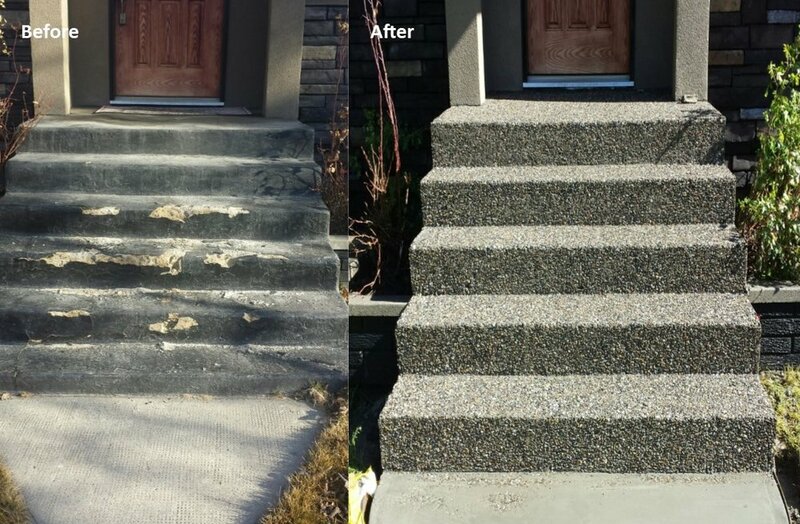 CF Construction meets or exceeds the guidelines set out by Alberta New Homeowner Warranty Program / Alberta Government with regards to all new concrete projects and/or issues related to those projects. CF Construction provides project management solutions to Calgary's residential builders for all their concrete flatwork requirements allowing builders to better leverage their resources and time. CF Construction takes the hassle away from watching and waiting for concrete to dry. Thank you! Our Service and Warranty team will be contacting you shortly! © CF Construction Ltd. All Rights Reserved.